The Library holds an archive relating to the late John Allen Fitzgerald Gregg (1873-1961). Perhaps the most distinguished Church of Ireland clergyman of his generation, Gregg was Archbishop of Armagh and Primate of All Ireland from 1939 to 1959. 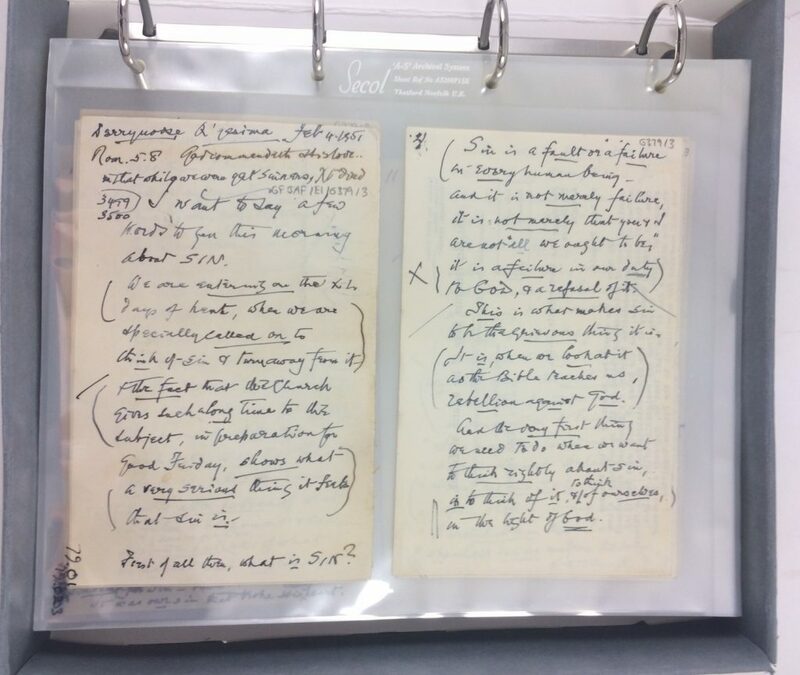 The archive, which spans Gregg’s lifetime, as well as pre-dating it, contains personal documents, correspondence, photographs, newspaper cuttings and sermons relating to Archbishop Gregg, as well as to other Gregg family members. 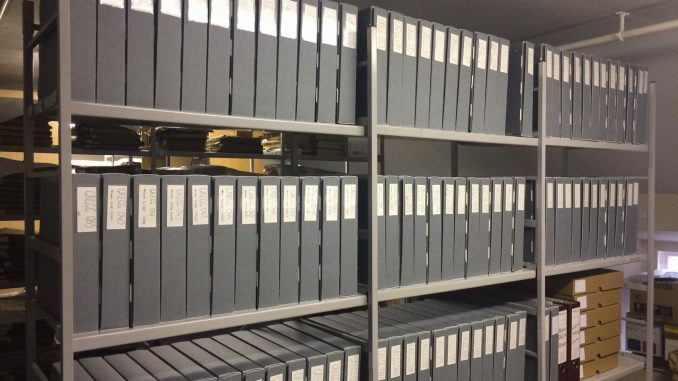 The sermons, which were donated by his daughter in 2003-2004, make up approximately 75% of the archive. The remainder of the archive was donated by Gregg’s grandchildren in 2008. The collection is of local and national importance, and was not accessible to the public before. Protect and preserve the contents of the Gregg archive and make the contents accessible for study and research. The Archivist catalogued the archive, creating a total of around 3,100 records. Each record contains a title or short description for the item, names of related persons and/or organisations, date of creation, place of creation, number of pages and storage location. She has added a separate webpage to the Library’s website, with access to the first four fields of the Gregg catalogue records and to a link to PDFs of sermons digitized so far. All the items have been stored in archival quality polyester pockets in archival quality box board binders. This means that they can be studied safely. Right from the start, we have had the support of Archbishop Gregg’s grandchildren – Mrs Audrey MacAfee and Dr Brian Wilson, and their families – to see this project through. We could not have progressed the project without our three funders who have been supportive and interested throughout the life of the project. We thank EB (NI) Ltd, the Esme Mitchell Trust and the Northern Ireland Museums Council, both for their financial and moral support. A team of volunteers assisted with the project and we thank Mr Eric Marshall for his work in photographing the archive, which will be continued. We also thank Ms Louise Buche, Mr Iain Frazer, Mr Dominic Henry and Ms Anna Hunter for their contribution to the project. Finally, we thank our Archivist, Ms Thirza Mulder, for her meticulous and detailed work throughout the whole project. Thirza brought her skills and experience to this project and will apply them to a new cataloguing project for the Library – so well done! A successfully completed project which now enables the Library to promote the Gregg Archive for researchers, whether in the Library or further afield. Congratulations to all involved!